In 1955 my father Neville started importing and selling instruments from Baldwin Piano & Organ Co. in the USA. The business grew and a couple of years later he became the agent for Thomas Organ Co. A fortunate opportunity for diversification presented itself in 1967 when Baldwin acquired Gretsch and Thomas became affiliated with Vox allowing him to enter the guitar, drum and instrument business. I worked with Dad in his Greenlane store from 1973 to 1980 when I left to start a completely new venture in Takapuna (Mainline Music). This successfully grew to several stores which I sold in 2001. 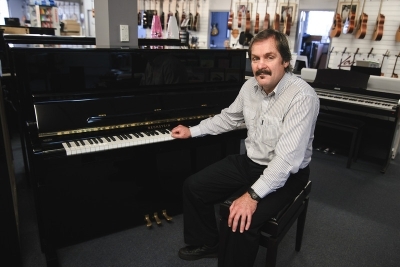 After focusing on importing and distributing Musical and Sound products for several years, the time seemed right to re-enter the retail scene and thus “Music Planet” was born. Neville’s goal was always the total satisfaction of his customers and we continue to strive for that today. A quick read of our testimonials section will show you that we are finding a measure of success in customer satisfaction not only in New Zealand, but across several countries around the world. We look forward to meeting you in one of our stores, or check us out online.